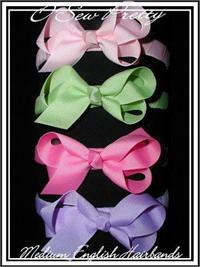 Boutique Hair Bow's on our world famous ribbon wrapped headband. 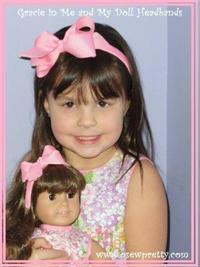 Headband's have memory and won't snap so they are one size fits all, and will grow with your child. They are Child Safe & lead-free so mom's love them. 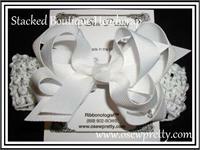 Handmade with love in the USA, O' Sew Pretty headband's will last. 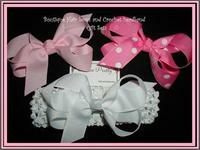 This headband is topped with our large and perky boutique style hair bow, who could resist! Choose up to three different colors to match that special outfit. 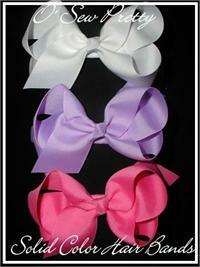 Topped with our Medium boutique style bow, who could resist! 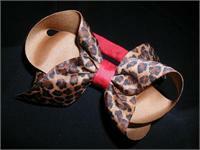 Choose from Zebra, Giraffe, Leopard, Cow or Dalmatian print and 3 hair bow sizes. Available in Classic or Boutique style. Gracie can find them strawberries much better in her Personalized on the tail boutique headband. Cute as a button and practical to boot ! A headband and boutique style bow all in one. 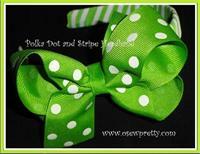 The perfect baby, infant or toddler headband. A headband and boutique style bow all in one.